(Partial) Victory on the Canal Street Ferry Terminal! We got some good news yesterday! The Council and Mayor’s office both publicly pledged to fund and build a new pedestrian bridge over the freight railroad tracks near the Canal Street ferry terminal. Most importantly, they pledged to do so in the same time period as the construction of the new ferry terminal. The pledge came via a Council resolution and the public assurances of the Mayor’s office. We want to send a big ‘thank you’ to all the Councilmembers for their pledge yesterday – and our gratitude to you and the hundreds of other residents who made this happen. This is a really important win that didn’t look possible several weeks ago. Now, transit riders likely won’t have to face a big step backwards in transit accessibility and reliability. That was our greatest fear when we first saw that the plans for the new ferry terminal called for the elimination of the existing pedestrian bridge. There are still no plans to replace the shelter from the rain and hot sun that riders will lose with the current design. City officials said they would prioritize the long-term search for solutions but offered no guarantees. There’s still no guaranteed funding or an approved plan to build the bridge. Planners estimate the new bridge will cost $2.6 million and city officials will need to find the funds – without shortchanging other important priorities. The Council approved the demolition of the existing ferry terminal – meaning the whole project can move forward. That means that if no funding is found for the pedestrian bridge, a lack of a bridge will become the new status quo. We all must continue to watch this closely. The planning process was problematic. 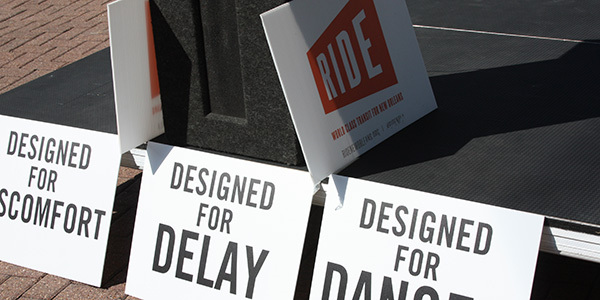 Community members and transit riders could not participate until January, at which point they were told it was already too late to change the design. Fortunately, we appear to have reached a happy conclusion in this one instance. But the community must be involved much earlier in future projects when there is still time to adjust designs. But, for the moment, we are happy that one of the biggest issues is on track to being resolved. 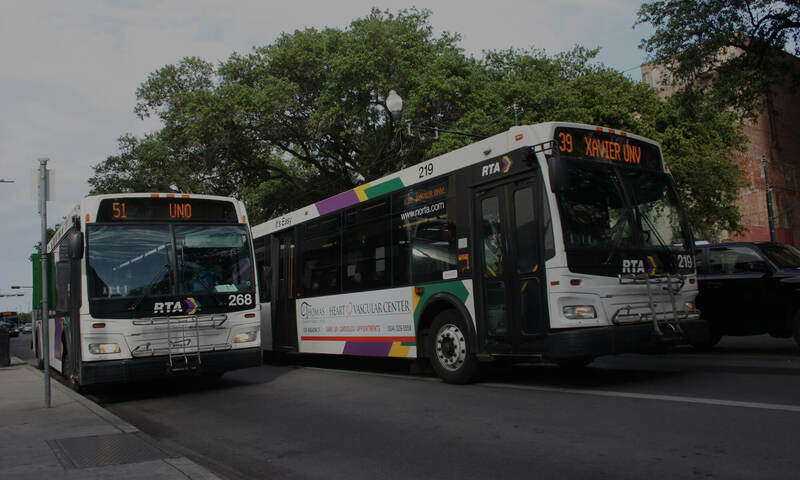 We’re looking forward to working with city officials, Algiers residents, and transit riders throughout the city to make sure that this story does indeed end with a win for New Orleans transit.